Meet Your Creek seeks to create a confluence. By instigating walks, explorations, art making and education about the Creek, the project works to create connections among human and non-human inhabitants of the Longfellow Creek watershed. Akira Ohiso's postcards bring attention to the history of the river as a fertile fishery for the Duwamish Native tribe. The shallow banks of Longfellow Creek once supported smelt, but they slowly disappeared with the Industrial Revolution and the subsequent proliferation of chemicals and toxic waste. 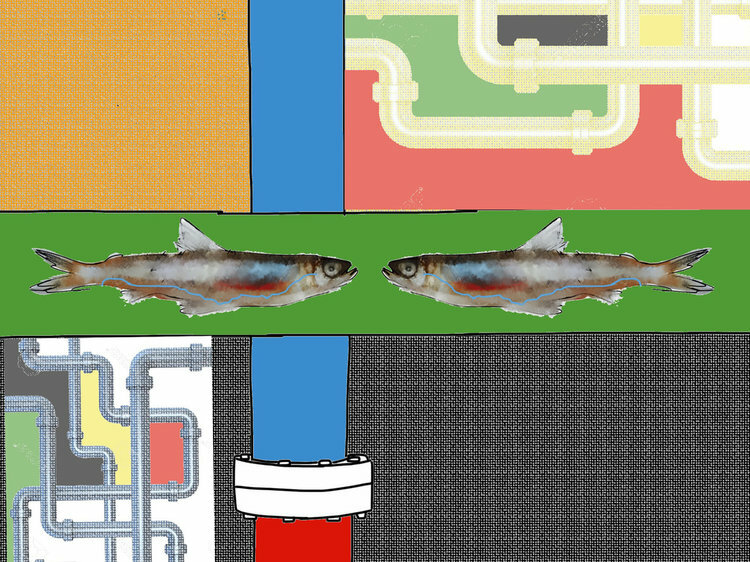 The smelt are depicted swimming upstream through steel pipes, which highlight recent environmental efforts to protect the Longfellow Creek and its habitat from future contamination. There is an irony in steel pipes as it was the steel industry that contributed to the contamination of the creek in the first place. The hope is that one day smelt will forge their way back to the Longfellow creek. Akira Ohiso's art installation brings attention to the history of the river as a fertile fishery for the Duwamish Native tribe. The shallow banks of Longfellow Creek once supported smelt, but they slowly disappeared with the Industrial Revolution and the subsequent proliferation of chemicals and toxic waste. 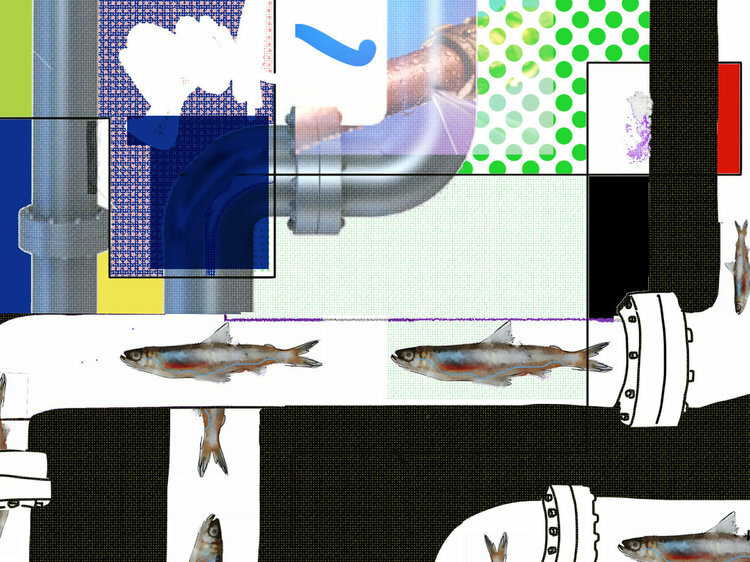 Ohiso created drawings of native smelt - in red, yellow, black, and blue - that were then digitally printed onto white windsocks to create fish kites. In the artist's Japanese culture, fish kites (Koinobori) are flown on poles to celebrate an annual national Children's Day - symbolizing hope for a healthy and prosperous future for children. This year also marks the 75th anniversary of the Japanese-American internment camps, adding poignancy to the installation.